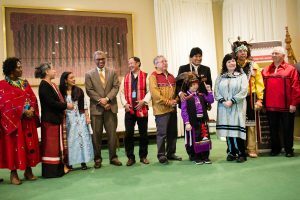 The observance of the International Day of the World’s Indigenous Peoples took place on Thursday 9 August 2018 from 3:00 pm to 6:00 pm in the ECOSOC Chamber at the United Nations Headquarters in New York. 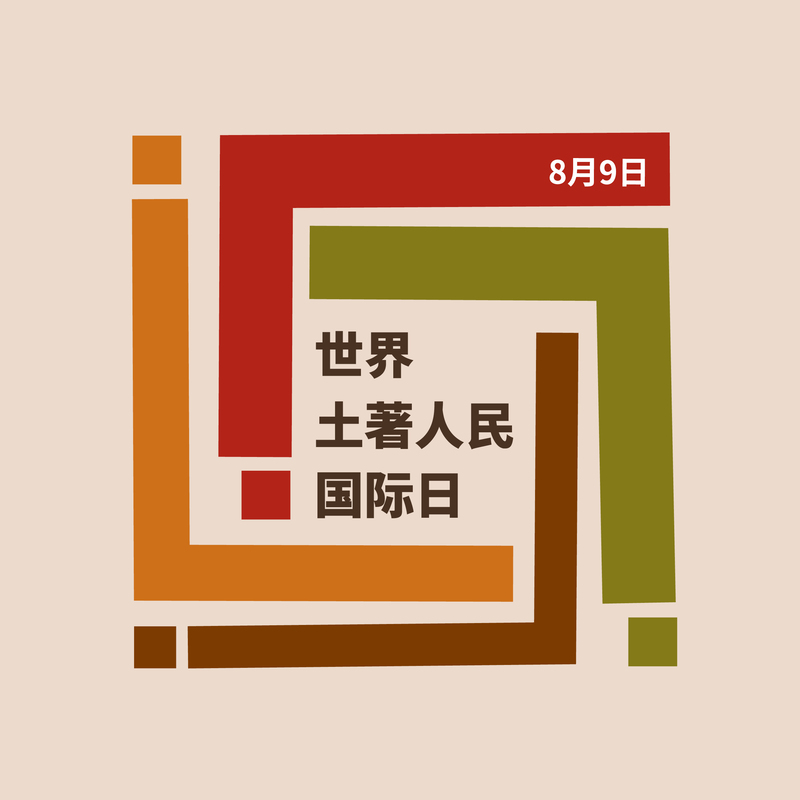 This year’s theme was “Indigenous peoples’ migration and movement”. The event included a panel discussion on the current situation of indigenous territories, the root causes of migration, trans-border movement and displacement, with a specific focus on indigenous peoples living in urban areas and across international borders. The panel also examined the challenges and ways forward to revitalize indigenous peoples’ identities and encourage the protection of their rights in or outside their traditional territories. After the panel there was a Q&A segment where participants made comments and/or asked questions from the floor. 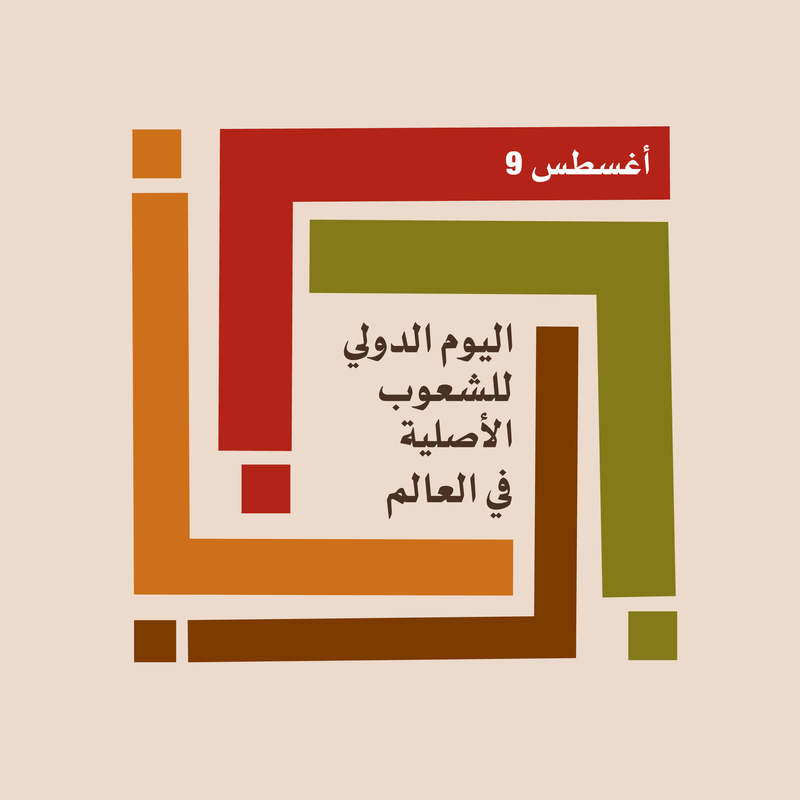 The programme, concept note and key messages of the event can be found below. Rosa Iveth Montezuma Montero is from the community of Alto Caballero, Comarca Ngäbe-Buglé, Panama. She studied Food Science and Technology at the Autonomous University of Chiriquí and is currently pursuing a career in education. From an early age she has been involved in activites of cultural expression in her community. She has participated in several cultural groups, including “Bakaibo Sobrebo” and as part of the organizing team of the “Munä Region” children camp, which fosters leadership, values and educational motivation to the children and youth of her community. In October of the 2017, she won the beauty pageant of the Interuniversity Festival of the Ngäbe-Buglé Culture “Meri bä nuäre” and in June 2018 she was crowned Miss Panama 2018. 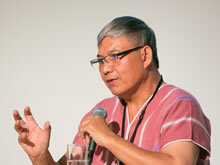 Prasert Trakansuphakon, of Karen origin, is a specialist on Indigenous Studies in Thailand and South East Asia. He holds a PhD in Sociology and has extensive expertise, both in the academic world and in civil society, as researcher and senior indigenous NGO activist. He is the author of many articles on local knowledge and traditional modes of subsistence and has held numerous honor positions in various organizations at the national and international levels since 1990’s. He served as the Director of the Regional Indigenous Knowledge and Peoples in Mainland SEA (IKAP) for many years, and is the current Chairperson of Pgakenyaw (Karen) for Sustainable Development (PASD), Chairperson of Inter Mountain Peoples Education and Culture in Thailand (IMPECT) and part of the Advisory Board Committee of the Asia Indigenous People Pact Foundation (AIPP). Mariam Wallet Aboubakrine is a Tuareg medical doctor from Tombouctou, Mali and current Chair of the UN Permanent Forum on Indigenous Issues. She holds a medical degree from the University of Tizi-Ouzou (Algeria) and a Masters in Humanitarian Action from the University of Geneva, focusing on interventions in crisis: armed conflict, marginalization/exclusion and natural disasters. Mariam is a member of Tin Hinan, a women association working for the defense, promotion and development of indigenous peoples in Africa, in particular the Tuareg. 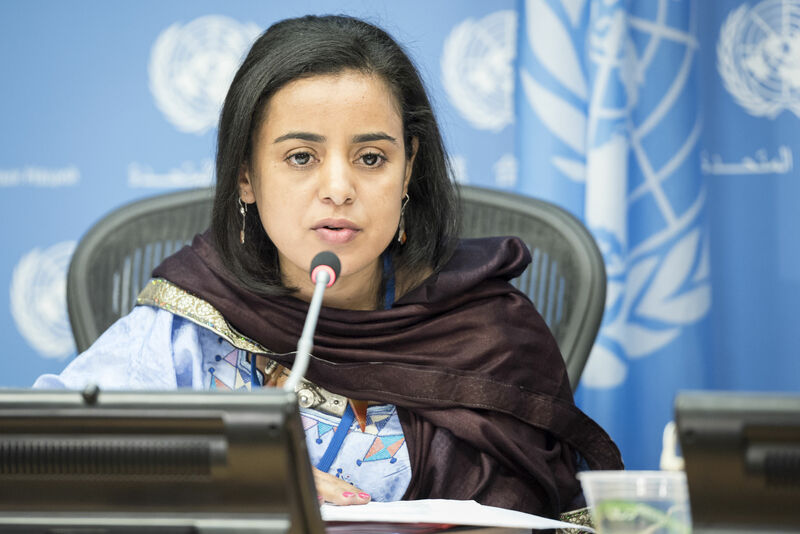 Mariam has been a very active member of this organization and has worked on many issues related to health such as nutrition, malaria prevention, and education on sexual and reproductive health among the Tuareg. 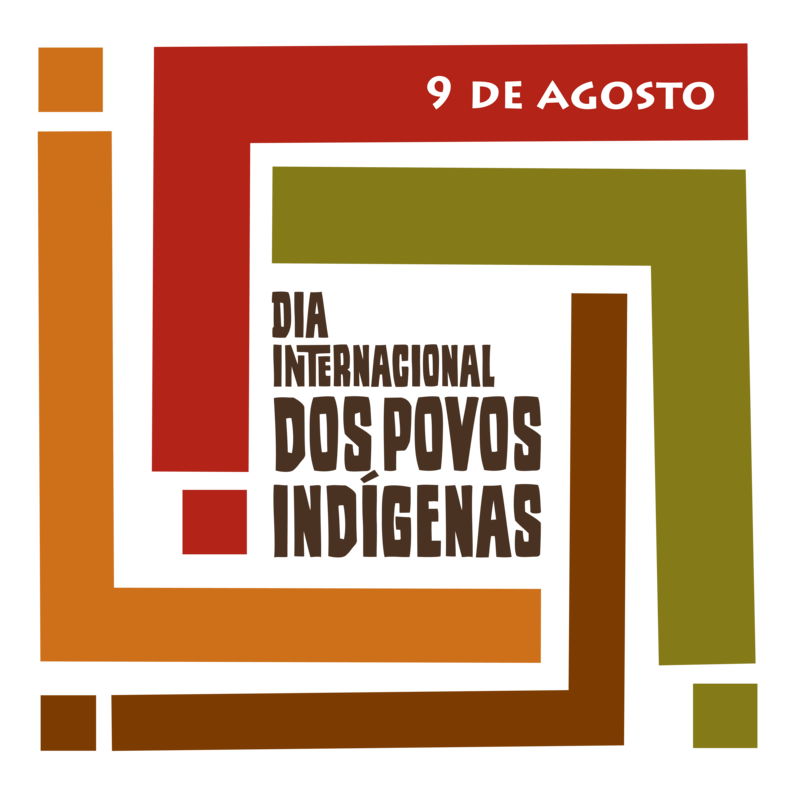 She has participated, several times, in trainings on ILO Convention 169 and the Expert Mechanism on the Rights of Indigenous Peoples (EMRIP). She has also volunteered with African NGOs for advocacy on human rights at the regular sessions of the UN Human Rights Council and in the Universal Periodic Review in Africa. In addition, she is an independent consultant on gender issues, health, and conflict resolution/peace agreements in indigenous communities. 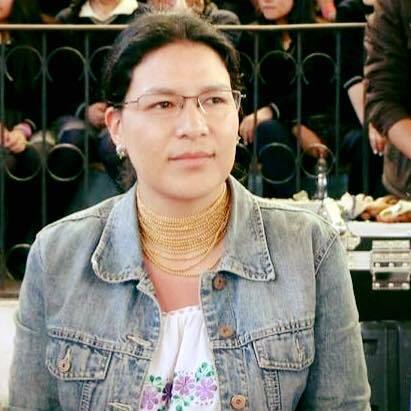 Toa Elisa Maldonado Ruiz, Kichwa indigenous woman from Otavalo, Ecuador. Sociologist with mention in Development (PUCE- Ecuador); Master in Social Anthropology (CIESAS – México); and Master candidate in Culture Studies at the Universidad Andina Simón Bolívar, Ecuador. Her research work has focused on youth, transnational migration, trade networks, identity and intra-ethnic tensions of the Kichwa people of Otavalo. 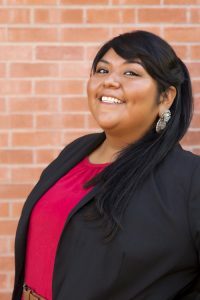 Her occupational experience include designing public policies and projects focused on indigenous peoples, collective rights, rights of youth, the rights of Nature and Environment, educational processes, conflict resolution, director and manager of intercultural projects and, protection and guardianship of the rights of Ecuadorian citizens in the context of migration in Central America. Carlos Yescas is a researcher, entrepreneur, and food advocate. Mr. Yescas has worked with food producers in Latin America, Europe, and the United States for over fifteen years and is recognized as the Latin American leading expert working with rural and artisan cheese producers. As a researcher, he explores questions of collective rights and communal knowledge. He focuses on Latin American food politics, heritage, and denominations of origin/geographical indications regimes. He has published on such varied topics as migration, indigenous peoples, race/ethnicity & transnational affiliation, and most recently food policy and heritage. He is the author of Indigenous Routes: A Framework for Understanding Indigenous Migration (Geneva: International Organization for Migration 2008) and co-author of Mexican Consular Diplomacy and Indigenous Migration: A Pending Agenda (101 Revista Mexicana de Política Exterior 2014). 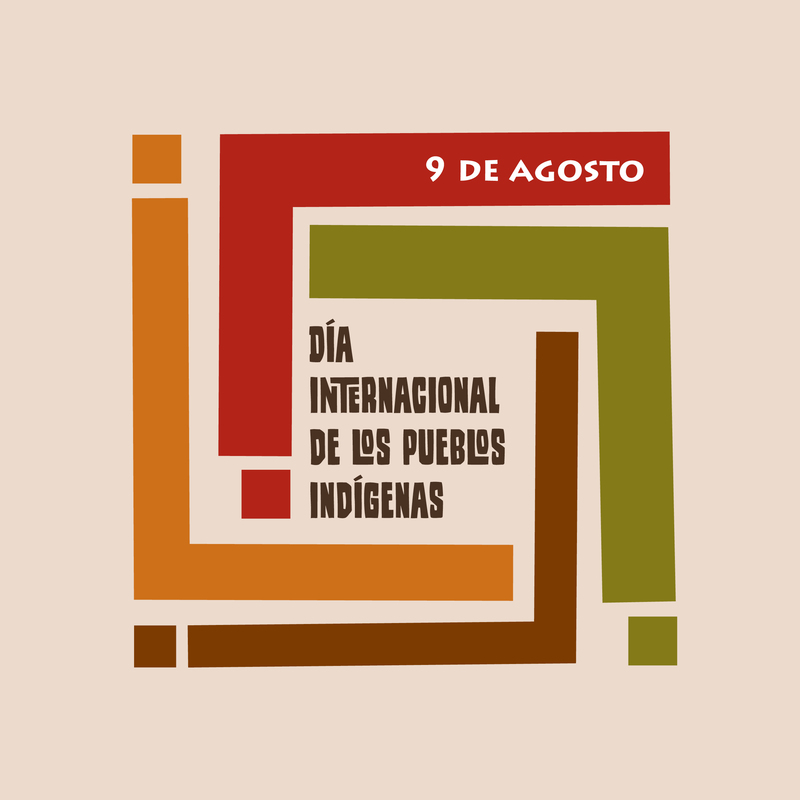 * The views and opinions expressed in these statements are those of the authors and do not necessarily represent official policy or positions of the Indigenous Peoples and Development Branch – Secretariat of the Permanent Forum on Indigenous Issues/DSPD/DESA. The commemoration of the 2018 International Day of the World’s Indigenous Peoples opened with a ceremonial call to order by Chief Tadodaho Sidney Hill (Onondaga Nation, USA). DESA USG, Mr. Zhenmin Liu, delivered opening remarks at the high level segment, followed by the Chair of the Permanent Forum on Indigenous Issues, Ms. Mariam Wallet Aboubakrine, who presented the joint statement of the UN mechanisms concerning indigenous peoples, and the Permanent Representative from the Mission of El Salvador to the UN, H.E. Mr Rubén Armando Escalante Hasbún. Ms. Rosa Montezuma, the first young indigenous woman to hold the title of “Miss Panama 2018” also spoke at the event, emphasizing that indigenous women are capable, talented, professional and determined to fight for their culture, identity and rights. Expert panelists from the USA (Amy Juan), Thailand (Prasert Trakansuphakon), Mali (PFII Chair Mariam Wallet Aboubakrine), Ecuador (Toa Elisa Maldonado Ruiz) and Mexico (Carlos Yescas) elaborated on the root causes of migration (displacement, loss of ancestral lands, environmental degradation and climate change, development projects etc. ), and the challenges as well as opportunities this presents. This was followed by an interactive discussion with comments from Mexico, the International Organization for Migration, Ecuador and others who highlighted the importance of recognizing the causes of migration, continuing dialogue at the international level and creating appropriate and non-discriminatory policies. There was a call for continued protection of the rights and identities of indigenous peoples in the Global Compact for Safe, Orderly and Regular Migration. The event was well attended by indigenous peoples, Member States, UN agencies, civil society and academics. As part of the commemoration of the International Day of the World’s Indigenous Peoples, the Indigenous Peoples and Development Branch – Secretariat of the UN Permanent Forum on Indigenous Issues, together with the Department of Public Information, organized a press conference on 9 August 2018 at 1 pm, on the theme of the day – “Indigenous Peoples’ Migration and Movement”. Speakers (Ms. Mariam Wallet Aboubakrine, Mr. Prasert Trakansuphakon and Ms. Amy Juan) highlighted the situation, causes, challenges and opportunities of indigenous peoples’ migration and trans-border movement, and discussed ways forward to promote and protect their rights in those contexts. Twitter activated an emoji for the 2018 International Day of the World’s Indigenous Peoples. 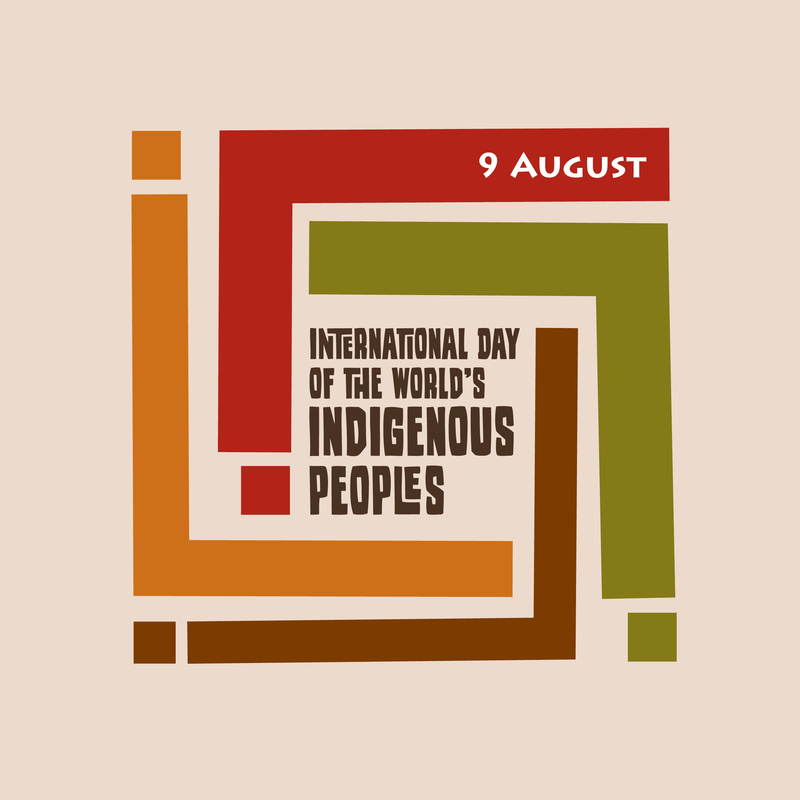 It features the UN branding for indigenous issues and will be live from 7 August (7 pm NY time) through 17 September, covering the 11th anniversary of the adoption of the UN Declaration on the Rights of Indigenous Peoples on 13 September. 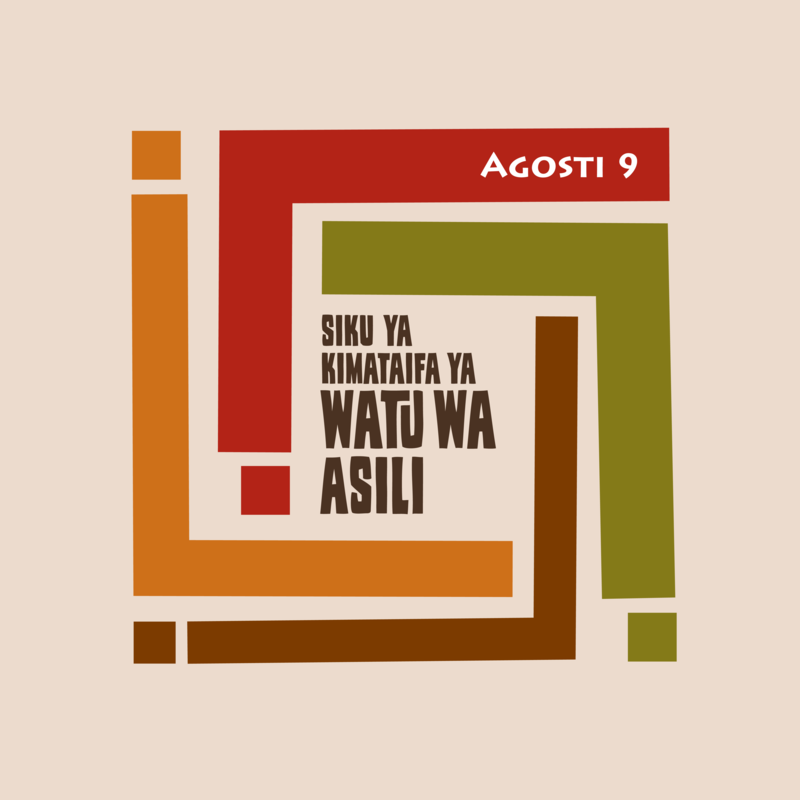 It was launched on @UN4Indigenous at 7pm on 7 August. The following ten hashtags will trigger the emoji – please use them! The third session of the Regional Conference on Population and Development in Latin America and the Caribbean will be held in Lima, Peru, from 7 to 9 August 2018. 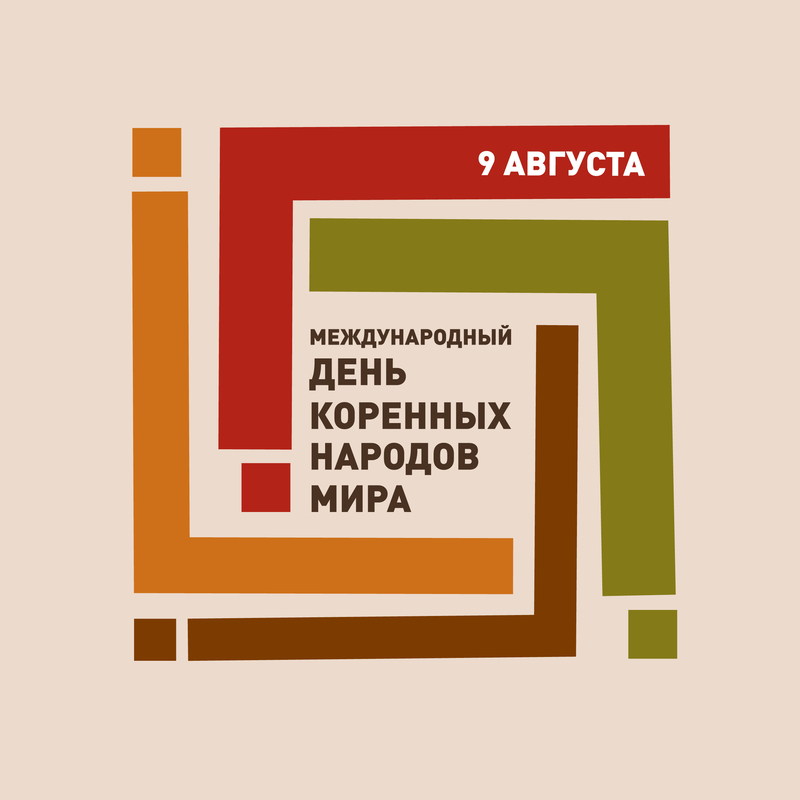 The meeting will explore the situation of migrants, indigenous peoples, the aging population, reproductive health, among other topics. For further details please contact our focal point for the event, Mr. Joel Cerda (cerda@un.org).